Pain, sensitivity, and trouble eating or sleeping are only a few of the uncomfortable symptoms of a damaged tooth. Sometimes the inside portion of a tooth, or its pulp, becomes so damaged that action must be taken. It could come in the form of extracting the tooth or it might be able to be saved through root canal treatment. Virtually every dentist recommends root canal therapy over tooth extraction. It’s almost always better to save your natural tooth. Otherwise, you’ll end up with a hole in your smile and the problems that accompany it. A tooth can be damaged for a variety of reasons such as severe decay, trauma, or deep cavities. The damaged pulp contains nerves, which is one reason that many patients experience severe pain. 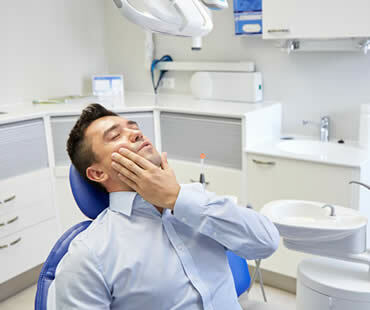 Although dental fillings can remedy some cavities or decay, when the situation advances to the extent of harming the tooth pulp, fillings are not enough. Root canal treatment is usually the best way to repair the tooth without having to pull it. A root canal procedure involves drilling into the tooth so that the pulp can be completely removed and the canal thoroughly cleaned. Then the area is filled with special material and sealed to prevent future damage. Often, a dental crown is placed on top of the restored tooth to provide added protection. This process alleviates any symptoms and give you back your fully functional, natural tooth. If you were to opt for tooth extraction instead of root canal treatment, you’d be choosing a more invasive approach. The procedure can be intrusive, time consuming and costly. 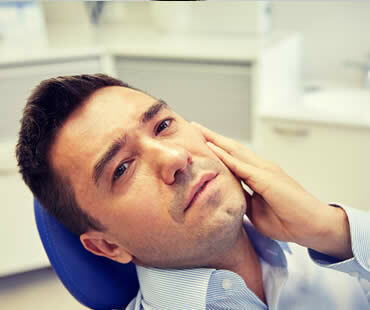 Recovery from tooth extraction can be uncomfortable and take longer than root canal therapy. Careful oral hygiene is necessary after extraction to avoid infection or complications. You’ll also be left with an unappealing hole in your smile that can make eating and speaking more difficult, and your other teeth will likely start moving into that empty space. To determine the best treatment for you, consult a reputable dentist. You’ll learn about the options and how root canal therapy may be the best choice in restoring your oral health and your smile. An aching tooth can make your life miserable. Pain, difficulty eating, inability to sleep, headaches and earaches are some of the problems that often accompany a toothache. If you have any of these symptoms and suspect a damaged tooth, a trip to the dentist is in order to see if root canal treatment might be needed. What is root canal therapy? Although it has gotten a bad reputation over the years, it is the best way to save your tooth once infection has set in. The cause for the problem can vary, including deep tooth decay, a faulty crown, trauma, or repeated dental procedures. Once the inside of the tooth called the pulp becomes damaged, root canal treatment is the ideal solution. If you don’t seek treatment, severe pain and possible tooth loss may be in your future. During root canal therapy, the damaged tooth pulp is carefully removed so that the interior of the tooth can be thoroughly cleaned and disinfected. Then the tooth is filled and sealed using a special material. Finally, the tooth is fully restored with a crown or filling to offer protection from future damage. What are the positive outcomes of root canal treatment? First, it gives you back the complete function and natural appearance of your real tooth. You avoid getting a hole in your smile or needing a procedure like a dental implant. Root canal treatment restores your normal sensation and biting force, providing for efficient and painless chewing. This treatment also protects other teeth from receiving excessive wear, since your real tooth remains in place and able to take its fair share of tooth wear. Of course, treatment will also relieve the pain and other symptoms associated with your damaged tooth. Root canal treatment is usually quite simple when performed by a qualified dental professional. Modern techniques allow the process to be as comfortable as just getting a normal filling. The procedure may be completed in only a couple of appointments and the end result will be a long-lasting, healthy tooth.